Target archery gives a lifetime of enjoyment, regardless of whether it is individual pleasure or serious competition. People learn at all ages: from 8 to over 60. No matter when you learn, you can continue as long as you wish, even in competition. Outdoors, target archery is generally shot on an open field with the targets in a row. The distance varies, depending on age and type of bow, so it’s anywhere from 20m (very young kids) to 70m (adults up to 50 for recurve) and 50m (compound adults). In areas where there is cold weather, indoor shooting is a must. 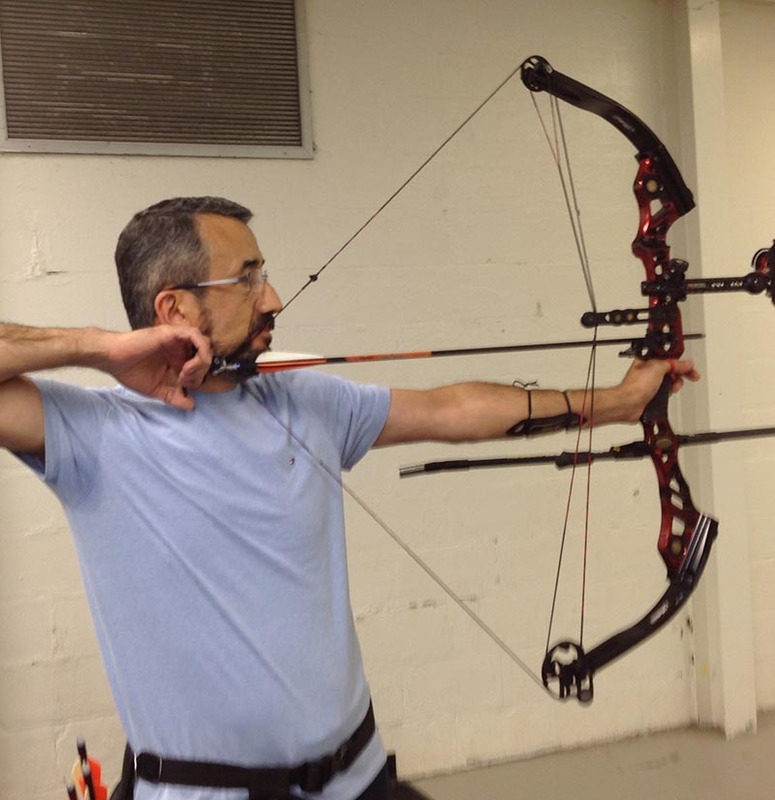 All types of bows are used for target shooting – compound, recurve and barebow/traditional. Which one is the archer’s choice. As a martial art, it is a discipline. Sure, some strength is needed to reach the target, particularly outdoors, but the shooting skill is what is important. Being able to correctly handle the bow exactly the same for each shot is what’s important. It’s not aiming, it’s not power, it’s going within yourself to be aware of how you are setting up and shooting each arrow. 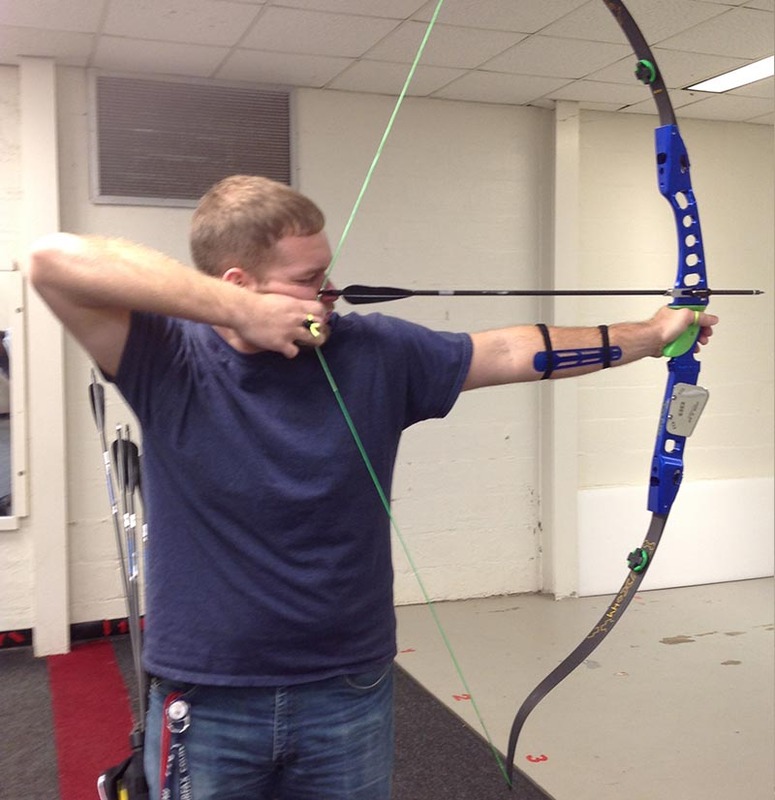 Shooting a bow properly is deceptively difficult. Looking at an archer, it doesn’t seem that much is going on. But for the person shooting, internally there is so much happening as the archer does the shot. 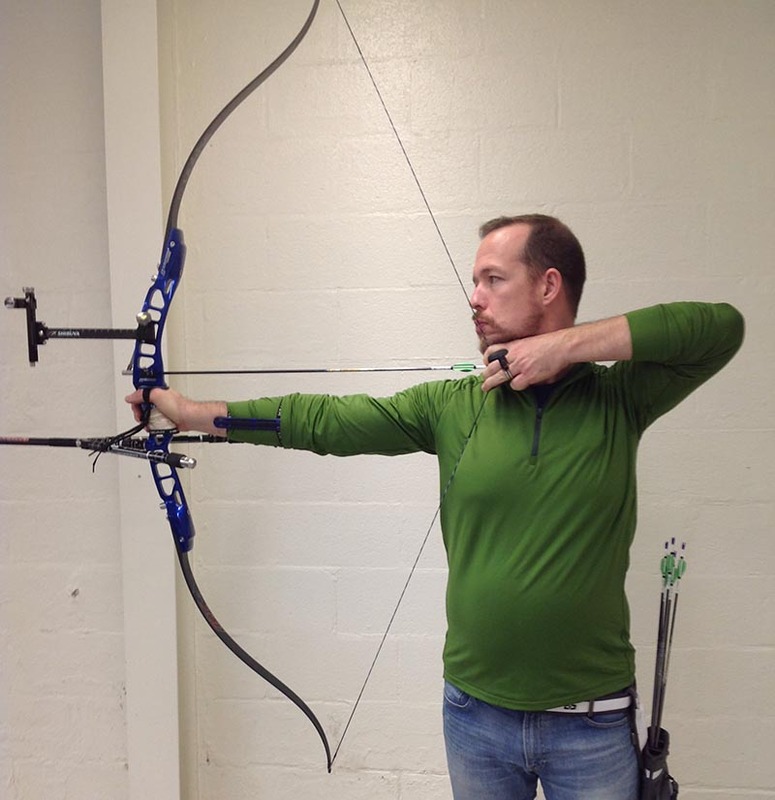 From the outside, it looks easy – just pull the string back, aim the bow and shoot. But consistently hitting the target in the same place (ideally the center!) takes a lot of focus on what the body is doing. Aiming is secondary, as the energy to propel the arrow to the target comes from the body and therefore, is more important. Varying anything the archer does makes a difference in where the arrow hits. From 20 yards; yellow is 3in. From 77 yards; yellow is 9.5in. Therefore, learning the discipline of doing a consistent shot with proper technique is more difficult than most sports. The archer is trying to hit a circle 3” in diameter (recurve), 1” in diameter (compound) at 18m indoor, and less than 6” in diameter at 70m (recurve) and 4.5” at 50m (compound) outdoors. Yes, it is possible to be that precise, but it takes learning and a lot of training to do it consistently. Also, with many sports (basketball, soccer, fencing, most martial arts, etc. ), in the initial stages, the student learns one or two skills and practices them. Then other skills are added until all skills are learned. These skills are the basic units most sports. With archery, the basic unit is the complete shot. To shoot an arrow safely and with control, all the skills must be learned at the beginning. You can’t practice part of a shot and shoot an arrow! 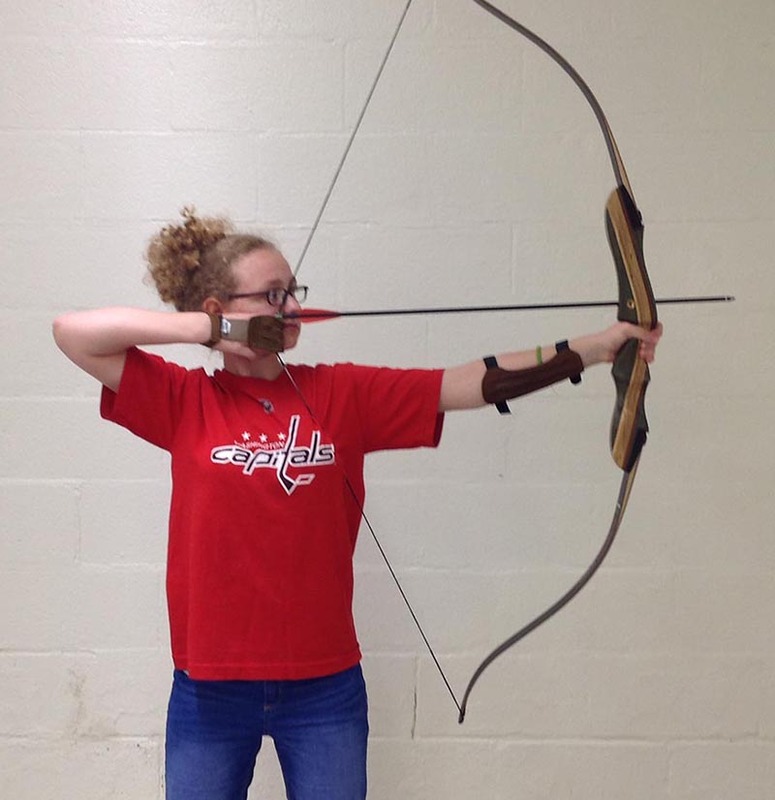 The better way to learn is to spend time at the beginning learning how to handle the bow – first with a stretch band, then with a very light-weight bow, working to maintain what was learned with the band. Proper technique is more important than the power of the bow. Strength is generally developed as the archer progresses from a light-weight bow to something heavier. One thing is true – you can’t hit the target consistently if all you’re doing is fighting to hold the string back. Target shooting can lead you into a world few people experience. Going into competition is enjoyable, as it allows you to ‘test’ your skill under controlled conditions. It’s different than most expect, in that the main competition is you against yourself to see how well you can do every shot. And if you regularly attend tournaments, you develop a group of friends you only see at competitions. Success in competition is a real motivator. At higher-level tournaments you can meet top competitors on the national, international, and Olympic level, and may be on the shooting line next to one of them. USA Archery is a member of World Archery, the organization that represents archery to the Olympic Games. World Archery also has the World Championship and the World Cup that along with the Olympic Games, are the premier competitions for target archers. That level of performance may not seem possible for most people, but every person competing at that level started somewhere as a beginner. The difference is interest, time and dedication to excellence along with years of training. Target archery is not only for able-bodied people. The World Championship, Pan American Games and the Olympic Games all have archery events for handicapped athletes. In the US, there is a para group to assist those wanting to learn and compete.